Our mission, values, goal and vision. 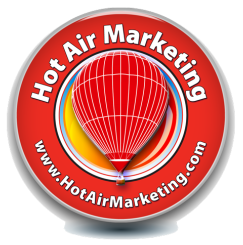 ﻿Our Mission﻿ is to share hot air ballooning and the power of this wonderful form of flight with as many as possible. We will work always to create exceptional experiences and to deliver on behalf of our sponsors, clients, and passengers - we will do these things with the spirit to exceed their expectations. We will work diligently to build the brands of those who sponsor us; and we will treat their brands as our own - always with professionalism and the best possible intentions. We will compete to win and do so with integrity. We seek to build a business which operates always in harmony with Our Vision, Our Values and Our Goal. Our Values. We value safety above all else including profit. We cannot deliver on Our Mission, Our Goal or Our Vision without safety. Safety is not a series of processes or operations but rather a mindset. Hot air balloons require us to operate in harmony with our surroundings, with the wind and with the weather. Our Goal, therefore, is to seek unity with the Creator of the wind and the weather so we may be more aware and respect when the elements are not right for flight, and to be truly thankful when they are. Our Vision is to share the pure joy we see in the eyes of all who experience this wonderful form of flight. By their nature, hot air balloons transform all who are around them - on the ground and in the air. They ultimately lead us to be present in the moment and appreciate the gift that is right now. We invite all who are willing, passionate and able to join us and to share in this journey.